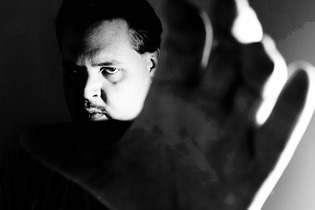 Matt Wallace is the Hugo Award-winning author of the Sin du Jour series, Rencor: Life in Grudge City, and co-host of the Ditch Diggers podcast with Mur Lafferty. He's penned over one hundred short stories, several of them award winners, as well as writing for film and television. Before retiring to write full-time, Matt traveled the world as a professional wrestler, hand-to-hand combat and self-defense instructor. He now lives and works in Los Angeles alongside his wife, Nikki. This was just okay for me. I have heard great things about this series so this book has been on my to be read list for some time. I bought a copy of the book but had not had the opportunity to sit down and read it just yet so when I saw that the audiobook was available through my library, I decided to go that route. It is a rather short piece so I was able to finish it in just a couple of days. I didn't fall in love with this book but did enjoy some aspects of the story. This book was weird. I like weird books so that shouldn't have been any kind of problem but this book is really weird. Not normal weird but undead clowns worshipping a giant chicken kind of weird. This book had a certain crazy that went along with the weird and I think it was just a bit much for me at times. It was definitely unique and unlike anything else that I have ever read. Darren and Lena get the chance to work for a catering company called Sin du Jour. Sin du Jour is not your normal group of caterers. They have a very original menu and clientele that sometimes come to them with special requests. Serving the wrong kind of meal could have devastating consequences for the employees of Sin du Jour. I thought that the way that the staff of Sin du Jour interacted with each other felt rather authentic. The narrator was just okay for me as well. I believe that this is the first time that I have had the chance to listen to Corey Gagne's narration. I have to admit that I didn't care for some of the voices that he used especially for the female characters. It was difficult to determine who was talking at times. I thought that he did have a pleasant voice that brought excitement to some of the scenes but I was never quite able to completely move past my dislike for some of the voices used. I would probably be willing to give this narrator another try in the future with a different kind of story. I think that some readers may enjoy this story a bit more than I did. It was a really interesting concept with some really exciting scenes. The book did cause me to swear off all chicken nuggets at least for a little while. I am probably not going to continue with this series but I am glad that I decided to give this story a listen. 4.0 out of 5 starsBourdain By Way Of Buffy - And It's Delicious! Darren and Lena are the newest chefs to join Sin Du Jour, a highly exclusive catering company with a highly unusual clientele. Overseen by a Michelin award winner, Sin Du Jour operates on government contract to host diplomatic banquets for - wait for it - demons! Their latest dinner service involves a unique ingredient, and the chefs are the only thing standing against all-out war between two rival gangs of Hell's finest. Envy of Angels is a quick, breezy, and very entertaining read. It's also one of the most unique urban fantasies I've read in some time. 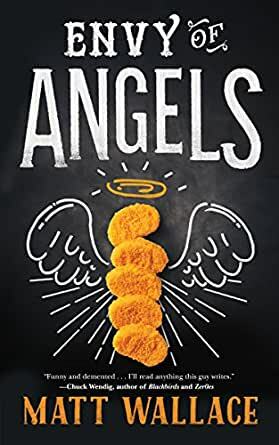 Although Chuck Wendig's Mookie Pearl was a tough foodie, Wallace's crew are all about working the line and getting their hands dirty with flour and an array of other, far more mystical, ingredients. Think Anthony Bourdain by way of Buffy The Vampire Slayer. There's a rich vein of humor running throughout, despite a subject matter could delve deeply into the darkness. 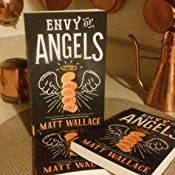 Although a sequence in which the Sin Du Jour Procurement team attempt a heist to steal a fast food chain's secret recipe carries a richly macabre undercurrent, Wallace still finds the humor in a highly off-the-wall scenario. The tone, at all times, is kept as light as puff pastry. What really caught my attention, though, were the flashes of insight toward Wallace's world-building. Sin du Jour and the reality it operates in are subjects I want to read and learn more about. I want to get deeper insight into the government agency that employs them, and the demonic cultures they feed. This is only the first book in what looks to be a long-term project for Wallace, but I'm already supremely captivated even if, at times, this book feels more like an appetizer of things to come, rather than a fully satisfying entree that left me stuffed. But, I'm OK with that simply because this story was a heck of a lot to read. It also helps knowing that the second book, Lustlocked, comes out on Tuesday, because I'm definitely ready for another serving. This is a very, very good book. It's also all kinds of messed up (in the best possible way). I read it going through a bout of chemo and the nurses had to ask me to stop laughing so loud. It is a novella, so you can burn through it in four hours or so, but it's such a good four hours. I was genuinely sorry when it was over. And disturbed that I sort of wanted a Henley's Chicken Nuggie. 5.0 out of 5 starsfunny, surprising, un-put-down-able! A writer friend posted a recommendation from another writer friend about this novella from HIS writer friend. I read a brief blurb and thought "this could be great! it sounds like an episode of Supernatural guest starring Anthony Bourdain". So I read the story, and you know what? It's that, and more. Two struggling young chefs get calls offering them gigs with a Long Island catering service...a very elite and strange catering service, that serves the non-humans who walk among us. The kitchen crew is a gloriously dysfunctional family, and the team who procures their, um, unusual ingredients? Culinary commandos, y'all, seriously.